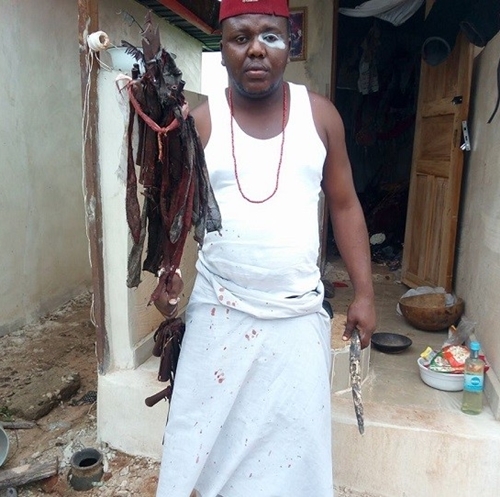 A young man who practices traditional religion in the South Eastern part of the country, has fired a warning to lazy Nigerian youth who flood his temple to seek for money ritual. 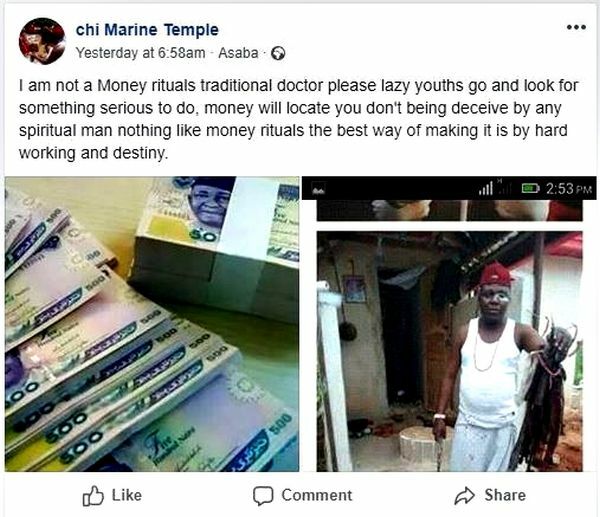 A young Nigerian native doctor identified as Chi Marine Temple, has taken to his Facebook page to warn ‘Lazy Nigerian Youths’ to stop coming to him for money rituals. According to him, there is nothing like money rituals but the best way of making it in life is by working hard. 0 Response to "“Stop Coming To Me For Money Rituals, Go And Work Hard” – Nigerian Native Doctor Tells ‘Lazy Youths’"